Wounaan women dancing. The dance that they are performing is called "El aguacerito" (The rain) and it's purpose is to call the rain back. 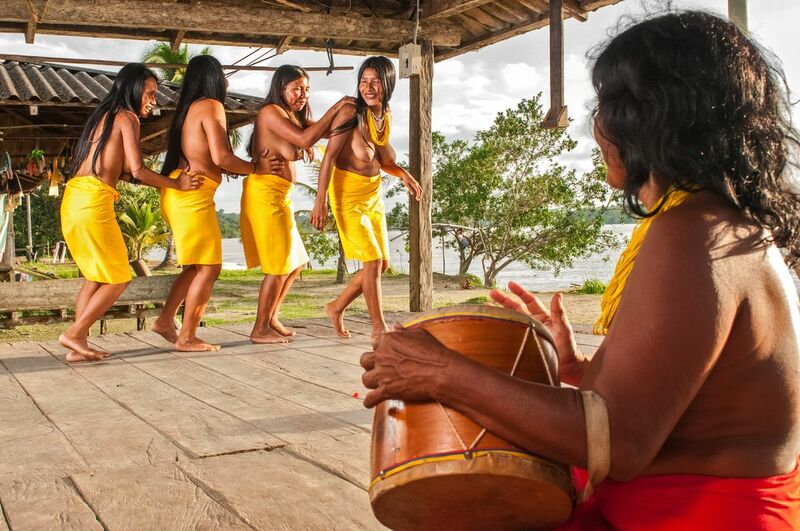 The Wounaan people are located at the pacific jungle, by the shores of the San Juan River, in Colombia.